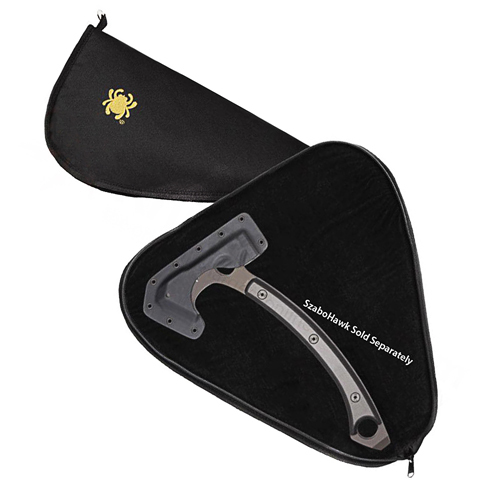 Designed specifi cally for the SzaboHawk tomahawk, this heavy-duty zipper pouch is also an ideal accessory for large knives, handguns, and other objects worthy of high-quality protection. Made from tough ballistic nylon material and embroidered with a Spyderco “bug” logo, it features thick padding for 360º protection. 15.25 X 7.25 inches.